Health is one of the most essential conditions of life. Over centuries, individuals and peoples, groups and societies, researchers and practitioners interpreted the notion of health in different ways and strived to understand what health is, how it is created, and what could be done to improve people’s health. Democritus (c.460 - c.370 BC), an influential Ancient Greek philosopher, said that “without health nothing is of any use, not money nor anything else”. René Descartes, the famous French philosopher and scientist, wrote in 1637 that “the preservation of health is … without doubt the first good and the foundation of all the other goods of this life.” The World Health Organization (WHO) defined health in its 1948 constitution as "a state of complete physical, mental, and social well-being and not merely the absence of disease or infirmity." People perceive health as essential to well-being; it occupies a higher order of meaning in our lives. We put a high value on health because while money and power provide the means to attain material things that may benefit our lives, health itself cannot be bought and sold; meanwhile we, the human beings, can and should both individually and collectively act to ensure healthy lives and promote well-being for all at all ages. The extent of global health issues requires continued efforts and new, innovative approaches, while preserving national customs and ensuring a better usage of traditional health methods. The role of traditional medicine was acknowledged at the WHO Congress on Traditional Medicine (China, 2008) that adopted the “Beijing Declaration”, a set of guidelines to integrating traditional medicine into national health systems. Governments, international organizations and other stakeholders were invited to collaborate in implementing the “Global Strategy and Plan of Action on Public Health, Innovation and Intellectual Property”, adopted at the 61st World Health Assembly (2008). WHO developed and launched the Traditional Medicine Strategy 2014-2023 aimed to support Member States in developing proactive policies and implementing action plans that will strengthen the role traditional medicine plays in keeping populations healthy. In September 2000, world leaders adopted the United Nations Millennium Declaration, committing their nations to a global partnership to eradicating extreme poverty and hunger, combating diseases and achieving universal primary education, and setting out a series of targets known as the Millennium Development Goals (MDGs). Health issues were addressed to a various extent in all 8 MDGs, ranging from nutrition and access to safe drinking water, health education, health services and access to medications, to prevention of diseases and improvement in the lifestyles of millions of peoples. Because the MDGs were to be achieved by 2015, a further process was needed and the 2030 Agenda for Sustainable Development titled Transforming our world was adopted on 25 September 2015. The 17 Sustainable Development Goals (SDGs) and the associated 169 targets are broader and more ambitious than the MDGs; they call for action by all countries to promote prosperity while protecting the planet. They recognize that ending poverty must go hand-in-hand with strategies that build economic growth and addresses a range of social needs including education, health, social protection, and job opportunities, while fighting inequalities, tackling climate change and environmental protection and ensuring that "no one is left behind”. Almost all the SDGs are directly related to health or contribute to health indirectly. One goal (SDG 3) specifically sets out to “ensure healthy lives and promote well-being for all at all ages.” Its 13 targets build on progress made on the MDGs and reflect a new focus on non-communicable diseases and the achievement of universal health coverage. 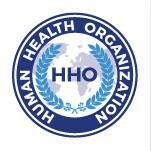 The Human Health Organization (HHO) was established in California, United States, and registered in 2013. It is a non-governmental, non-profit organization that is committed to promoting health education and academic research, advancing health culture, cultivating good nutrition and healthy lifestyles, and facilitating the development of healthy and sustainable human settlements though public-private partnerships. HHO goals are aligned with the targets of the 2030 Agenda for Sustainable Development; they complement the efforts and activities of national authorities and civil society, follow activities of the United Nations, WHO, UN-Habitat and are focused on health and well-being of all people.